This is critical to identifying new users and use cases of RS-enabled EBV data and therefore will guide the next steps of GlobDiversity and follow-up projects. This new post-2020 framework will be agreed at the Convention on Biological Diversity’s Conference of the Parties in 2020, guided by a large number of relevant meetings that inform and drive this process. 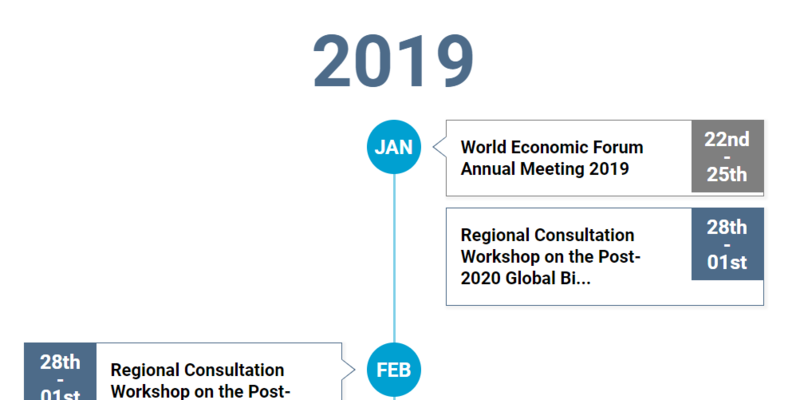 The timeline is updated every month with new information, meetings and events to keep you up to date with everything post-2020. You can view relevant events for each month and click on the events to see more information about them.